Marci Zieff is a certified Reiki Master, a Shamanic Practitioner and a Meditation Teacher. She is a natural healer with over 20 years of experience. Marci works with children, teens and adults to reduce stress and anxiety, facilitates group meditation classes, and offers both private Reiki and meditation sessions. During private Reiki sessions Marci combines the wisdom of both Reiki and Shamanism (Native American healing), providing a powerful and effective combination of healing energies. Marci's gentle demeanor, deep compassion and highly-tuned intuition provide each person with valuable insights into their own healing. Marci received her Reiki master certification from Libby Barnett, has trained for many years with Suzan Baltoser-Fischer in Shamanism and has received meditation training from Kripalu Center. Geralyn Kruger, Lic. Ac., MAOM holds a Masters in Acupuncture and Oriental Medicine from the New England School of Acupuncture. She is Nationally Board Certified by the NCCAOM and Licensed by the Massachusetts Board of Registration in Medicine. Geralyn has a private practice at Roots and Wings where she offers both Chinese and Japanese styles of acupuncture, along with Herbal Medicine, bodywork, Nutritional and Lifestyle Counseling. She is certified in Auriculotherapy (ear acupuncture), Shakuju Therapy (a non-insertion Japanese style of acupuncture), Orthopedic Acupuncture, and Facial Rejuvenation Acupuncture. 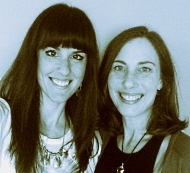 Geralyn has pursued the study of nutrition, yoga and meditation for over 15 years. Her long standing passion and reverence for the body's innate healing capabilities and her commitment to helping people live happier, healthier lives has led her down this rewarding path.